Glebe — it’s an area where colonial architecture meets a creative village-vibe, where beautiful harbour views meet connectivity and convenience. Glebe — it’s an area where colonial architecture meets a creative village-vibe, where beautiful harbour views meet connectivity and convenience. 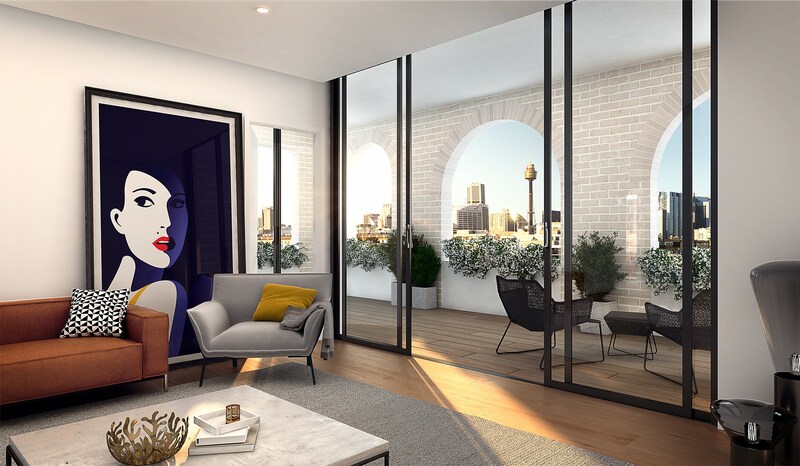 Once an industrial area, today it is one of Sydney’s most tightly-held suburbs and potential buyers have a unique opportunity to make it their new residential address thanks to West End. Brought to market by Roxy-Pacific Australia and Colliers International, West End has been designed by multi-award-winning architecture studio Turner. The New York-style Soho apartments are complemented by a brick and concrete façade, resulting in a striking addition to the streetscape. Responsible for the interiors, Siren Design has created an aesthetic that pays homage to the industrial history of Glebe and nearby Ultimo, while retaining a refined sense of warmth. The collection of one, two and three bedroom apartments are light-filled and spacious. Raw materials are contrasted by natural textures to create a bold and inviting atmosphere which maintains the connection to Glebe’s old-meets-new vibe. West End doesn’t just provide stunning homes, it also has vibrant shared spaces. The rooftop gardens grant views of the CBD skyline and feature beautiful landscaping and a barbecue area, ready for use on warm evenings. During the day, kick back with a good book on the grassed areas, shaded by trees and plantings carefully selected by Oculus Landscape Architects. Blake Schulze of Colliers International states “buyers in West End Residences have been drawn by the unique architectural offering, and the opportunity to own a new home in a suburb so close to Sydney’s CBD, with limited supply available”. Glebe is such an interesting and diverse suburb, finding hidden gems is easy. Markets, art galleries, bookshops, and impressive schools and universities all sit comfortably together here, and residents rarely want to leave. Just outside West End’s doorstep, there’s an endless choice of modern cafés, bars, and restaurants featuring cuisines from all over the world. Whether residents are in the mood for sushi, Vietnamese, French or a classic pub meal, delicious food and an inviting village atmosphere are just minutes away. On the project’s doorstep at West End, Glebe Point Road forms its own village filled with boutique shops and cafés. It’s the kind of place where baristas know their regulars and neighbours can stop to chat in the grocery store. Interspersed by heritage buildings and charming architecture, the main road of the Glebe community has a unique character all of its own. Lifestyle and amenity attractions such as Broadway Shopping Centre, Central Park Mall, Wentworth Park, and Sydney Harbour are all nearby. Additionally, the State Government of NSW is redeveloping the Sydney Fish Markets, transforming the area into a new precinct called Blackwattle Bay Fish Markets. The $250 million development will feature new public wharves, a waterfront promenade, and community spaces, perfect for afternoons spent by the harbour — and it is just moments from West End. In mid-2019, West End’s construction will be coming to completion and the building’s façade will be revealed. Potential buyers will have the opportunity to experience West End Residences at the newly completed on-site finished apartment. Enquire here to find out more about West End in Glebe.